The nerves that this simple question gave rise to, were almost too much. But then, very quickly, the excitement set in. My gorgeous customer had ideas. Beautiful ideas. And we had some lovely chats about them. She wanted raspberry sponge, and a carrot cake, and plenty of cupcakes – both classic and gluten-free vanilla. And she wanted the cupcake tiers to be in-between the cake tiers. 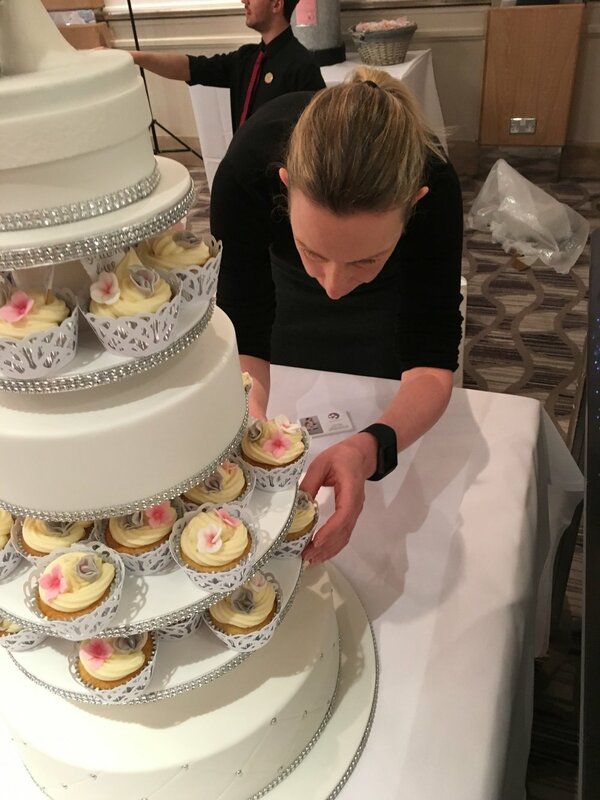 The cake tiers would be white, and the cupcakes would introduce her colours – silver-grey and pink. A bit of sparkle would be nice, a quilted tier, a large bow, and a bride and groom on the top – the bride with a glass of champagne, and the groom holding a bottle of whisky. Such a lot to work with, but the hardest part to get my head around was the stand. Nothing out there would allow cupcake tiers to sit between cake tiers, and I soon realised I would need to make my own. I have an engineering degree, and am actually quite structurally minded, so after a few designs I came up with this one. Each tier would be separated by polystyrene dummies, of varying heights, designed to create a balanced overall appearance. 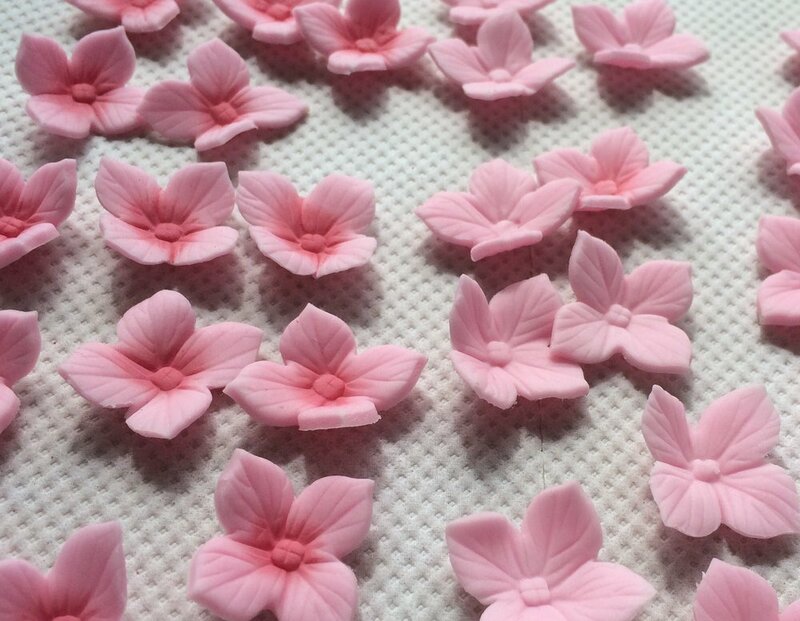 Each dummy would be covered in sugarpaste, and each cupcake board would also be covered. The centre cake tier was also to be a dummy cake, so I could actually construct the whole middle piece as one. I quilted the bottom tier, and created an embossed sugarpaste bow on the top tier. I also embossed the icing on each separating dummy, using a lovely heart embossing sheet. And the sparkle was added with a beautiful ribbon around each board and cake tier. The bride’s dress was gorgeous, and the groom looked rather dapper too. I even added their tattoos – a detail that probably only they would notice, but something I thought might make them smile. 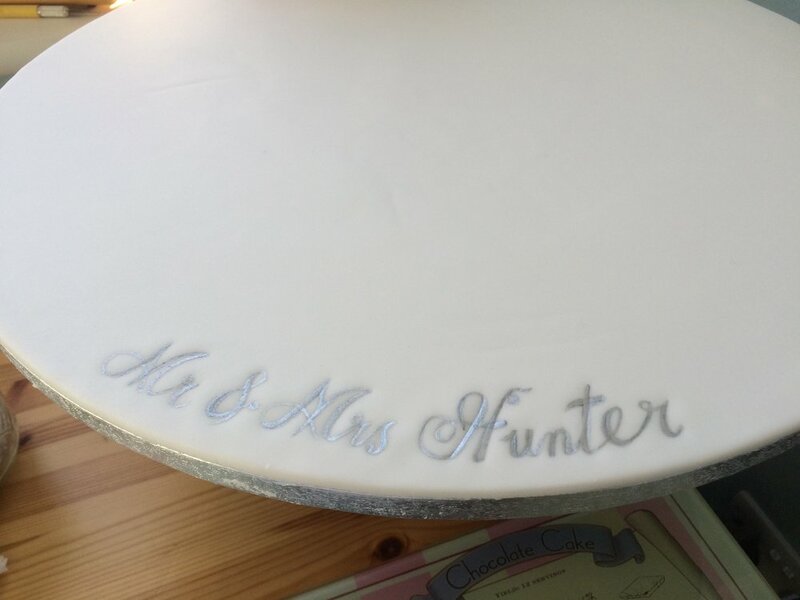 And I hand-painted their married name onto the board in silver. A final bit of sparkle. So what do you think? I’d love to hear, or to answer any questions. Feel free to let me know in the comments below. And if you are planning your own wedding, please do get in touch. 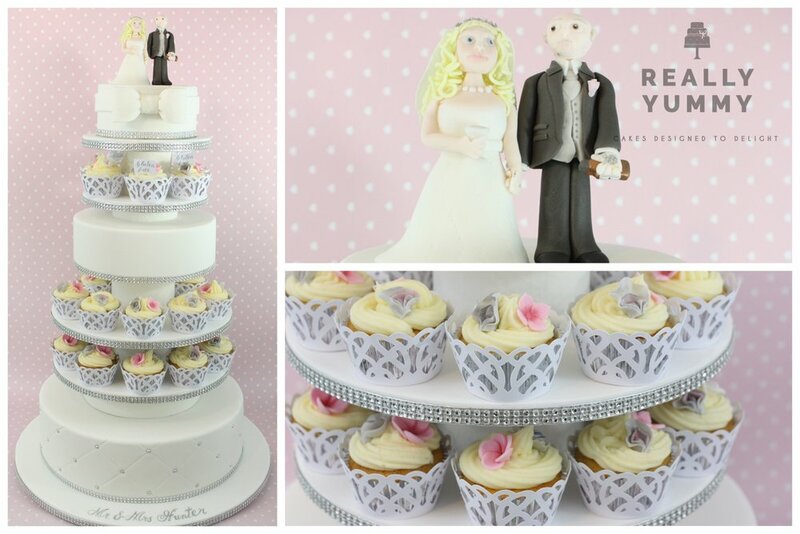 I’d love the chance to create a gorgeous cake to play a part in your perfect day! Newer PostSo, what happens next?